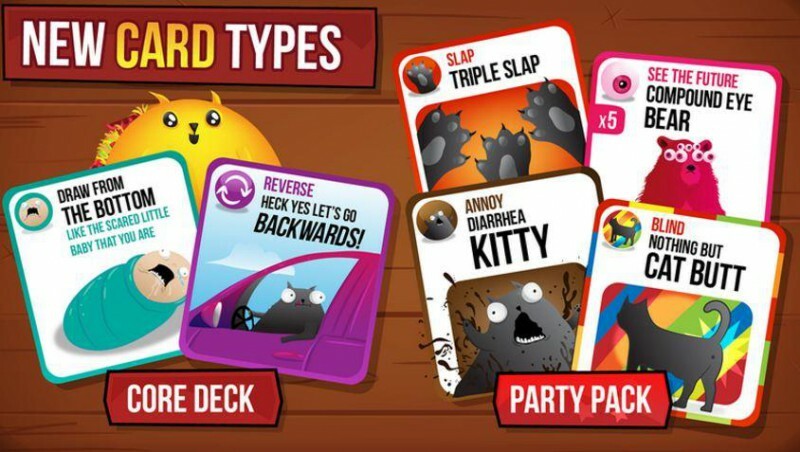 A new version of Exploding Kittens, a table card game that stands to this day as the biggest videogame in Kickstarter’s history in terms of dollars and backers, is coming to iOS devices this Thursday, January 21, its developers have announced. The game will be priced at $2 when it launches on iTunes later this week. In Exploding Kittens, players take turns drawing cards until one unfortunate player picks up an exploding kitten card and loses the game. But if that player has a Defuse card, they can defuse the kitten with things like laser pointers, belly rubs, and sandwiches comprised of catnip. Exploding Kittens has had ties to gaming since its inception. The project was conceived by Xbox veterans Elan Lee and Shane Small, alongside Inman. For a close look at the iOS version, check out the images in the gallery above. Android and Windows Phone versions of Exploding Kittens have not been announced. Are you planning to check out Exploding Kitten for iOS? Let us know int he comments below!